Vashti may not be able to draw, but she can at least make a dot. 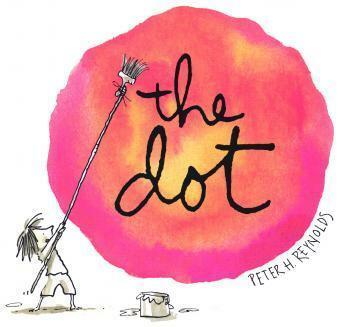 When she sees the dot framed above her art teacher's desk she decides that she can make a better dot. Soon Vashti is making big dots and small dots, red dots, blue dots and purple dots. At the school art show everyone admires her dot paintings and she realizes that art is about more than being able to draw. Narrated by Thora Birch with music by Jerry Dale McFadden. A co-production of Weston Woods Studios and FableVision, Inc.